October 22, 2015 By This post may contain affiliate links. Who needs ordinary peanut butter cups when you can have these adorably cute, decadently rich, Peanut Butter Fudge Filled Black Cat Pops for Halloween instead? 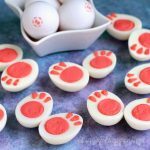 These chocolate Halloween treats look so sweet that kids are going to love them, but taste so amazing that you might not be able to keep adults from snatching them up. I know, it’s Halloween and my cats should be scary, but I just can’t resist making them cute. I spent 2 hours designing these Halloween lollipops, trying to make them look more sinister. I added wicked yellow eyes, then green eyes, then orange ones. I tested out several different candy noses and whiskers, and in the end, I make them look identical to the Candy Filled Black Cat Cookies I made last week. 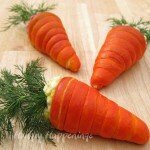 This design, just makes me happy, and that is what Halloween treats are all about for me. Our party is just days from now, and I have lots more Halloween treats to make, so I’m keeping this post short and sweet today. Hop on over to check out my Peanut Butter Fudge Filled Chocolate Cauldrons, to see how you can make the most amazingly creamy peanut butter fudge that can be poured into a cake pops pan and turned into lollipops. 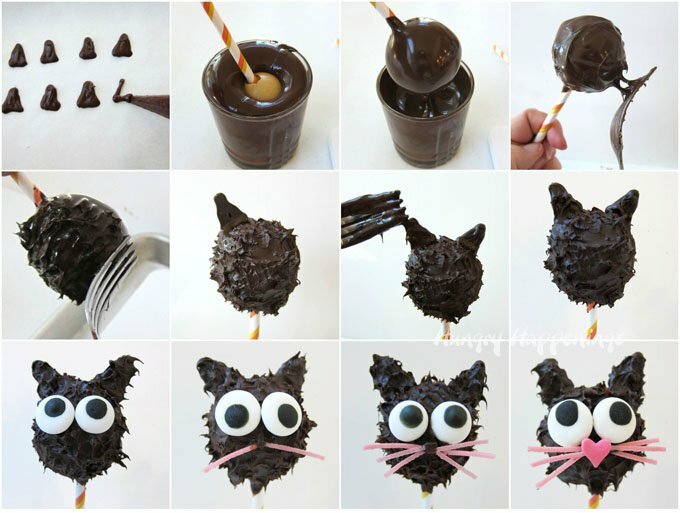 Then jump back here to see how you can decorate those peanut butter pops to look like black cats for Halloween. 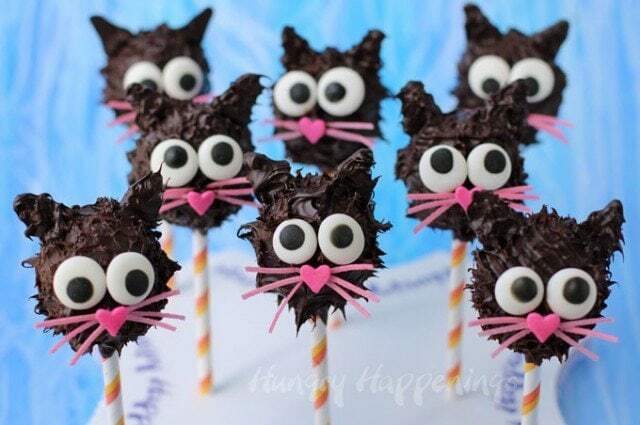 Once you have your pops made you can dip them in melted and tempered semi-sweet chocolate or melted dark cocoa candy melts to make your cats. If you use Candy Melts, you need to allow the melted candy coating to cool to about 91-92 degrees F before dipping so that the peanut butter fudge does not melt and it’s thick enough to spike into fur. 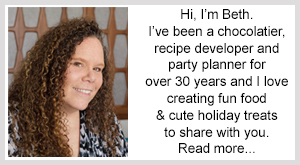 For detailed information and a step-by-step tutorial on choosing and melting/tempering different types of chocolate, check out my Chocolate Making Tips page. Dip one pop at a time, allowing the chocolate to set for 30-90 seconds. Then press a fork up against the chocolate and pull away quickly, creating spikes of chocolate fur. Do this over the entire surface of the lollipop making your pops look furry. 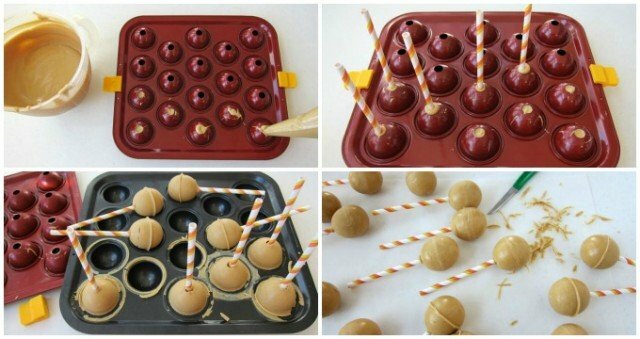 Insert the lollipop into a cake pops stand or a block of Styrofoam and allow the pops to dry. Pipe 32 chocolate triangles onto a parchment lined baking sheet for the cat’s ears. Attach two ears to each pop using a dab of chocolate. Allow the ears to attach firmly then use a fork to add a bit more chocolate to the ears and make them look furry too. 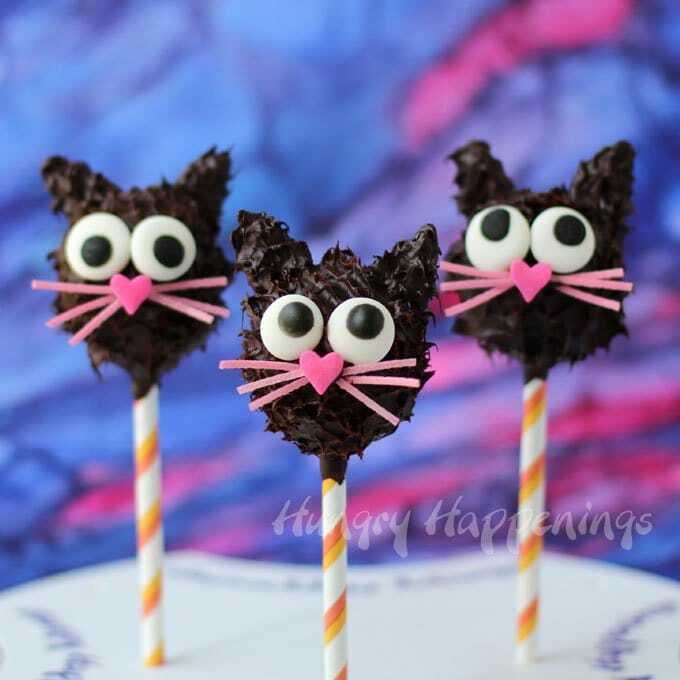 Use a dab of chocolate to attach two jumbo candy eyes, 6 whiskers, and a large pink heart sprinkle nose. I used edible Easter grass for my whiskers. You could also use licorice laces or even pipe out some pink candy melt sticks and use them. 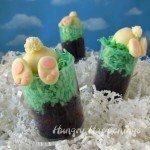 Soft and creamy peanut butter fudge balls dipped in dark chocolate and decorated to look like black cats! Create these Peanut Butter Fudge Filled Black Cat Pops for any Halloween party! Combine the white chips with the peanut butter chips and melt them in the microwave on high for 30 second increments, stirring after each, until melted. Then stir in a pinch of salt and the creamy peanut butter. Pour the liquid fudge into a disposable pastry bag or a squeeze bottle. Squeeze the fudge into the cavities of a cake pops pan. 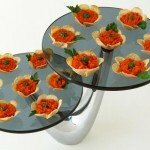 Insert a lollipop stick into each. Allow the pops to sit at room temperature for at least 45 minutes to come to room temperature. Dip one pop into the chocolate. Allow to set for 30-90 seconds. Press a fork over the surface of the pop, pulling away quickly, creating spikes of chocolate fur. Pipe small triangles of chocolate onto a parchment lined baking sheet. Remove once set, and attach two to each pop using a dab of chocolate. 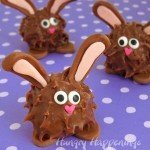 Add more chocolate over each triangle, then use a fork to create furry spikes. Allow pops to harden then decorate. Attach two candy eyes, whiskers, and a pink candy heart nose to each pop using chocolate. I used the large candy eyes found in Wilton’s Decorating Kits. I like the curved shaped to these eyes. 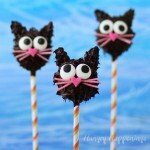 They are the cutest little black cats for sure, the only scary part is how many I might eat if I had them in front of me! These truly are the cutest little black cats around, the only scary thing would be how many I would want to eat if they were in front of me! How CUTE! I love your sweet little cat pops. The heart nose is melting my heart! How CUTE! The cute little noses are melting my heart! Where did you get your little green-handled knife that you use in all your posts to trim excess chocolate off? I usually use just a cheap paring knife because they are really thin. 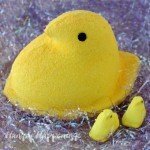 I’ve had them for years, but have seen them in the grocery store, at Walmart and even at the dollar store.